Though new AirPlay accessories are seemingly few and far between these days, Urbanears on Tuesday announced a lineup of standalone speakers that support Apple's Wi-Fi-based music streaming protocol. The smaller Urbanears Stammen is priced at $350, while the larger Baggen runs $450. They are set to become available this Thursday, March 30, through selected retailers worldwide and direct from Urbanears. The new lineup of "Connected Speakers" will be available in six color variations: Dirty Pink, Vinyl Black, Plant Green, Concrete Grey, Goldfish Orange, and Indigo Blue. Beyond AirPlay, the Urbanears Connected Speakers will also support Spotify Connect and Google Chromecast. Audio connections will also be supported over Bluetooth and a 3.5-millimeter aux headphone jack. Urbanears has also promised over-the-air updates for new features and connection possibilities. Two or more Connected Speakers will be able to be combined for a multi-room setup. 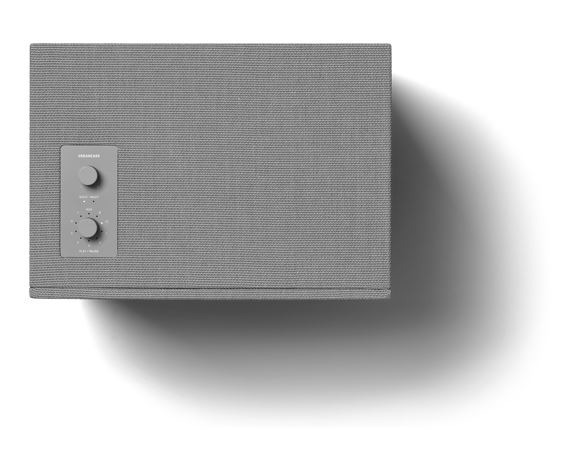 Urbanears says its system will allow a different "mood" for each room, or all of the speakers can be grouped together for synchronized listening. The speakers lack digital displays, instead opting for physical control via two knobs on the top panel. A single push of a button can pause or play, or switch between solo and multi modes. One dial will adjust volume, while the other can be used to select one of seven presets, including support for Spotify playlists and internet radio stations. In addition to configuring presets and speaker groupings, the official Urbanears app will also include integrated equalizer settings, allowing users to tailor the accessory to their liking. The speakers are wrapped in an acoustically transparent fabric. Urbanears says the Baggen is suited for larger spaces like living rooms and patios, while the Stammen is intended for small to mid-sized spaces like living rooms, bedrooms and studio apartments. AirPlay has long been a unique part of Apple's audio ecosystem, and support is included in the company's Apple TV and diminutive AirPort Express routers. But with rumors that Apple is looking to abandon its AirPort lineup, speakers with integrated capabilities may be the last best hope for AirPlay audio aficionados.